How to track heart rate? When you track your heart rate, you’ll understand how hard your body is working and you will be able to easily regulate the intensity level of your workouts. Heart rate tracking removes all the guesswork and gives an extra boost to your training. Whether you’re looking for an easy way to track your workouts or want a supremely accurate solution to capture your training data, we’ve got the tools for you. Polar heart rate monitors are trusted by elite athletes all over the world and known for their durability and accuracy. Polar offers two different methods for measuring heart rate: optical heart rate measurement and the chest strap with a heart rate sensor. The chest strap measures the electrical activity of your heart (ECG). It detects your heart’s electrical signals with a sensor that is attached to the strap and turns the signals into heart rate data. If you take your training seriously and are looking for the ultimate in accuracy and reliability, then chest strap tracking is a sure bet for you. Optical heart rate measurement (OHR) is based on photoplethysmography (PPG). Simply put it uses a mixture of LED lights and a light detector, to measure changes in the size of the blood vessels, turning this data into heart rate readings. There are two optical heart rate solutions for you to choose from: a sports watch with a built-in wrist-based heart rate monitor or an optical heart rate sensor to be worn on the arm. If you're looking for a convenient, all-in-one method of tracking your beats, then optical heart rate might just be the tool for you. Which to choose: chest strap or OHR? The chest strap is the best solution for serious athletes and those who demand accurate heart rate measurement in every training session. It measures the electrical activity of your heart (ECG), and is recommended especially for interval training, weight training and racquet sports. What is optical heart rate tracking? Optical heart rate tracking uses a method called photoplethysmography (PPG), which means optically measuring the volumetric changes of an organ. 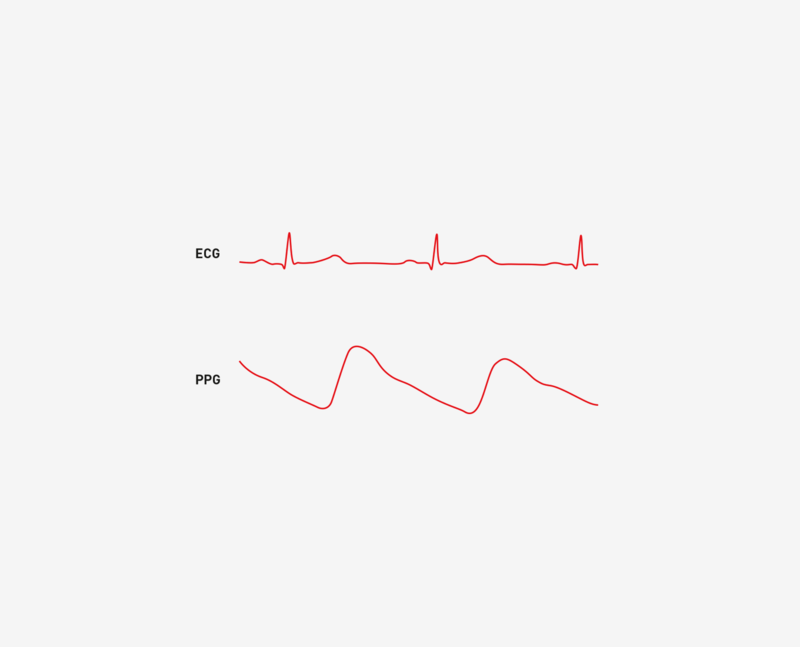 PPG is the signal that the optical heart rate solution measures, interprets and uses to calculate your heart rate. Measure your heart rate optically through the skin on your wrist with ease and without the need for a separate chest strap while you’re working out. Track your beats conveniently and comfortably in sports where the sensor placement might hinder your movement and performance or affect the quality of the optical heart rate signal. Get accurate wrist-based heart rate tracking even in the most demanding of conditions. Polar UKHow to track heart rate? Optical heart rate or chest strap – which is right for me? Because optical heart rate measurement and chest strap heart rate measurement use different technologies, they are not directly comparable; rather, they are two different ways of reaching the same goal and suit different uses. How accurate is optical heart rate compared to chest-strap based heart rate? Based on our own validation studies, our optical heart rate readings are very similar to ECG-based readings in many of the most popular sports, such as running and cycling. – Running with a steady state tempo. – Casual bike commutes or the occasional cycling workout. – Keeping an eye on your night-time heart rate. – Tracking your heart rate 24/7. – Minimisng workout gear while you travel. – Tracking your heart rate at the gym. – Tracking heart rate while playing volleyball, soccer or basketball. – Putting on a sensor without lifting your shirt up at the gym. – Tracking your cycling workouts with a bike computer. – Wearing your sports watch on top of your sleeve because you live in a place where it gets cold during winter time. – Tracking heart rate during interval training. – Tracking heart rate while playing sports where you hold a stick or a racquet. – Tracking HRV to put into a HRV analysis app. How does the chest strap measurement work? The chest strap heart rate sensor detects your heart beat, the electric signal of the heart, at the accuracy and reliability of the electrocardiogram (ECG). It then gives a timing reference for the heart beat occurrences and transmits the information to your sports watch or fitness tracker. The sports watch or fitness tracker reads this transmission from the heart rate sensor and calculates the number of beats per minute your heart is working at. When should I use the chest strap? The chest strap is the most optimal way of measuring heart rate in sports with extreme arm motions. Racquet sports, water sports such as swimming and sports in cold conditions like skiing are best tracked with the chest strap. Chest strap measurement is the right choice if you want to measure heart rate variability (HRV) to learn more about your body and fitness. We also recommend the chest strap for high intensity interval training (HIIT), where your heart rate fluctuates rapidly, and for weight training, where holding a barbell or another form of weight might cause interference to optical heart rate. How does optical heart rate measurement work? You can measure the PPG signal almost anywhere from the body: from your finger, earlobe, temple or wrist, for example. Optical heart rate tracking uses LEDs and a photodiode to measure the changes in the size of blood vessels under your skin. An LED on the back of your Polar device shines a constant light onto the skin. Some of which is reflected and scattered back into the photodiode. The OHR solution tracks the changes and the time between pulses and determines your heart rate. Optical heart rate tracking – how accurate is it really? One of challenges of optical heart rate tracking is that it is very sensitive to motion. Movement can interfere with the LED light's route to the detector and therefore have an impact on the heart rate readings. To filter out distortions caused by movement, the Polar devices with wrist-based heart rate monitoring use two sensors: one to sense the heart rate and one to sense the movement of the hand. The movement data is then run through an algorithm that combines information from both sensors to provide an accurate heart rate reading. 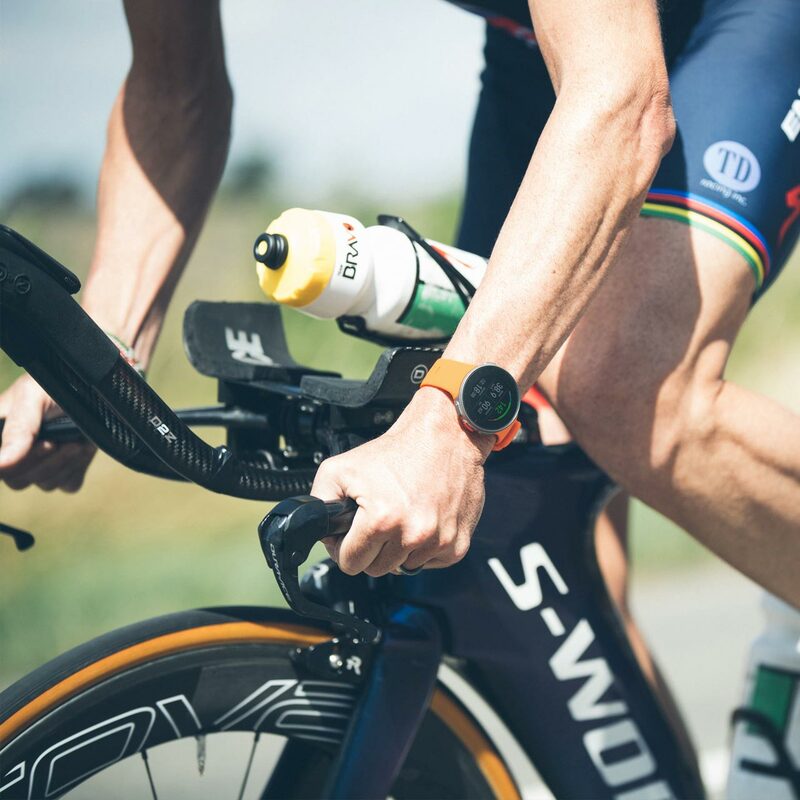 In many sports we have reached a very high level of precision, so the accuracy of optical heart rate tracking doesn’t have to be the deciding factor when you’re considering which heart rate tracking solution is right for you. What is the optical heart rate good for? Optical heart rate tracking is convenient and quick to use. 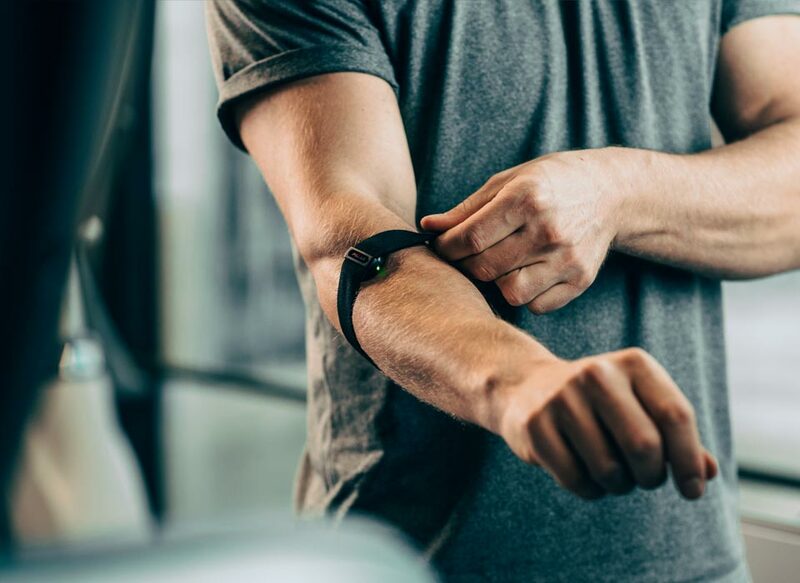 As it is possible to also wear an optical heart rate sensor on your arm, there are many options to choose from for the needs of different activities. If you wear your sports watch all day and it has optical heart rate, you’re always ready to track your heart rate, whether it’s during lunch-time yoga or your cycling commute. Furthermore, if you want to track your heart rate around the clock, optical heart rate is arguably the only viable option. Polar Precision Prime sensor fusion technology is the next generation of heart rate monitoring. This innovation combines optical heart rate measurement with skin contact measurement, in order to rule out any motion artefacts that might disturb the heart rate signal and produce unreliable readings.